Once you submit your name, town, and preferred method of contact, we’ll email/call you to learn more about your goals and objectives, and answer your questions about the mortgage process. Then, we can take a look at current mortgage rates and review the best mortgage loan for your specific needs. After that, it’s up to you. 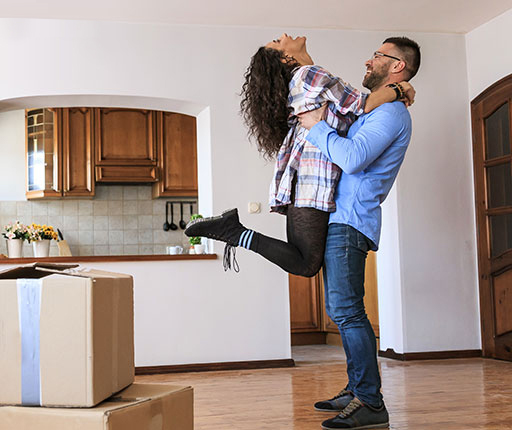 And if you’re a first-time homebuyer, be sure to ask about getting $300 off closing costs on your first home mortgage. 1All loans subject to credit approval. Offer valid for first-time homebuyers only. Upon request, first-time homebuyers will receive from their mortgage lender a $300 coupon toward closing costs on a Bank of Canton mortgage. Coupon must be presented at time of application. Limit one per application. Coupon not valid for loans without closing costs, and cannot result in cash back to applicant. Cannot be combined with any other Bank of Canton offer. Offer expires 12/31/18.